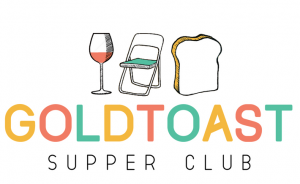 My name is Bree, I run Goldtoast Supper Club – which is pretty much a fun food related way to meet new people. I have created a zine (Goldtoast Zine), to go along with each themed dinner, that I give away to guests who attend the dinner and then upload the digital version of the zine to issuu.com and sell hard copies (just for the price of printing and postage) on etsy. I am looking for submissions from all my favourites as well as new contributors so please pass this message onto anyone you think would be interested. So it has been a while between issues but I am happy to say the Goldtoast Zine (as well as Goldtoast Supper Club dinners) will be happening monthly from here on out. The deadline for the next issue is the 25th May, which is quite soon. I will be starting to gather work for the June theme in the very near future. The zine is printed A6, mostly in black and white with a scattering of colour pages. Remember themes are always just a basic start point, the further you stretch away the better. Think of the theme as the link that brings everyones vastly different work together. There is a contributors page included so please include the name and website you would like included. If your work if chosen, I will give you a copy of the zine to keep. If you have any other questions send me an email! We'll be sharing the details of our next event shortly.